Mr. James W. “Bo” Richardson, Jr. age 70, of Old Hickory, TN, passed away on Wednesday, April 18, 2018. Jim was born in Nashville, TN, on March 22, 1948, the son of the late James Willard Richardson and Betty Jean Richardson. He was an Eagle Scout. Jim attended the United States Military Academy at West Point and served in the United States Army. 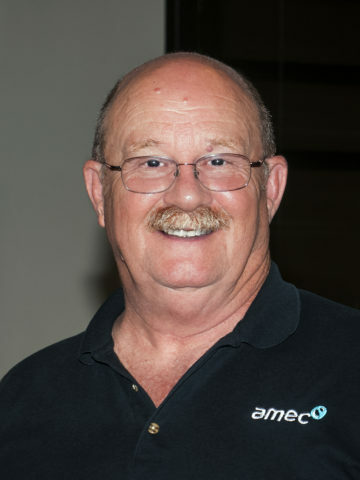 As a 40 year professional geotechnical engineer, Jim sat on many boards and chaired professional associations, including ASCE, ASFE and ACEC. In additional to his parents, he was preceded in death by wife, Teresa and brother, Dave. Survivors include his wife, Becky; two sons, Jaye (Laura) Richardson and Tony (Ann) Richardson; step-son, Adam (Katy) Grissom; step-daughter April (Kenneth) Bozeman; sister, Jan (Paul) Como; brother, Gene (Debbie) Richardson; and sister-in-law, Michelle Richardson. Jim was blessed with a loving extended family and friends. A Celebration of Life will be held Monday, April 23, 2018, at 10:00 A.M., Hendersonville Funeral Home. Interment will follow at Hendersonville Memory Gardens with military honors. Gathering of Family & Friends will be held Sunday from 2:00 P.M. until 5:00 P.M. at Hendersonville Funeral Home. In lieu of flowers and due to Jim's love of animals please consider donating in his name to the Nashville Humane Association and please mention you are donating in the name of James Richardson and include Becky's email: beckyrichardson.tn@gmail.com. Here is the link to donate: https://donorlynk.com/nashvillehumane/. 19 Comments to James W. Richardson, Jr.
Jim — I will miss you dropping in to say hi and checking up on us. You were a joy to be around. Jaye – my husband’s and my thoughts and prayers are with you and your family. We will be making a contribution to Nashville Humane Association in Jim’s name. Please know that the family is in our prayers during this difficult time. Jim, you were a good friend and a great person. You helped me and many others, in living a good life and having a good career. You left a mark on many people and organizations. You knew how to work hard, but were even better at playing hard. You will be missed by many, and my heart goes out to your family. God speed my good friend. You had a great heart and left a mark on many people. You will be SO missed by many, and my heart goes out to your family. Peace, love and prayers my friend. I will truly miss my great friend my bowling buddy my golfing buddy and all around friend for many years but you will still remain in my heart just as left this world you will be with me love you Jim Richardson rest in piece my friend until we meet again !!! May the Lord Bless and Comfort each of you. Hi Bo, you will be missed by so many. As a long ago neighbor and friend, I have fond memories of you and your family. Rest In Peace. Thoughts and Prayers to your family and friends. We knew Jim from bowling. We bowled on leagues with him for years. Jim was truly one of the nicest and inoffensive persons that I have ever met. Jim will be missed! May God comfort you through your loss. Your dad was a good man and a great friend. Deepest condolences to the family. I have fond memories of working with Jim. He was a kind man–always had a smile and made others laugh. May you find comfort through your many wonderful memories. Your family is in our thoughts and prayers. We have great memories from our ‘Harley’ days. We loved Jim at Willow Branch Landscaping! We will miss him and are thinking about you Becky! Becky – James and I send our prayers for peace and comfort during this time. Our deepest condolences. Becky – Carol and I would like to pass our prayers and condolences. We had enjoyed our rides together and our friendship. Enjoyed his visits at Boswells grill. He will be missed. So sorry Becky. What a great guy! We were out of town.